What’s up with all the construction? 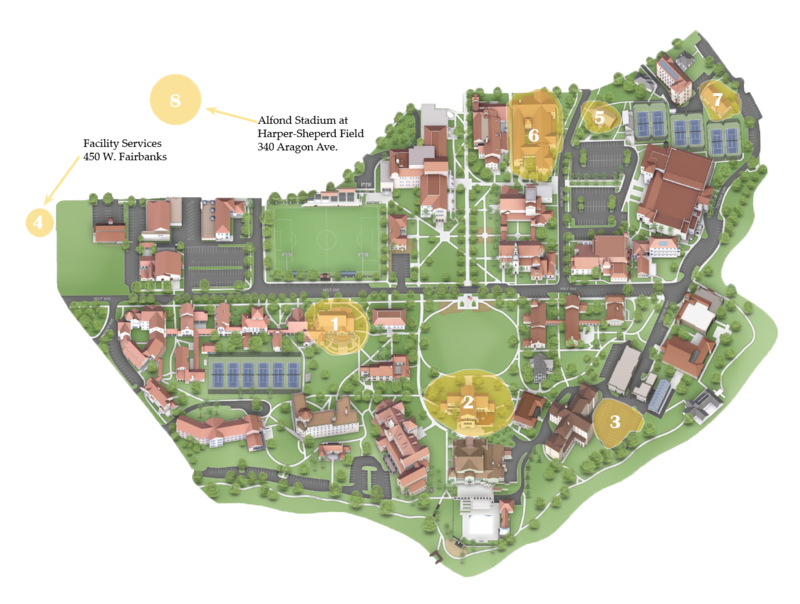 Learn about all the changes on campus by pairing up the numbers on the map with the project descriptions below. What was once the campus bookstore is being transformed into a campus hub for events and receptions. The pavilion is projected to encompass 10,000 square-feet, which can accommodate 250 people for sit-down dinners, 350 for lectures or receptions, and up to 500 for networking events. It will have direct access to a catering kitchen and flexibility to host student organizations, private functions, community gatherings, and more. This central campus building, which is also one of the oldest, will become a “mission-driven” location that will bring together student organizations and administrative offices. It will be filled with offices such as student media, career and life planning, scholarship advisement, and social entrepreneurship. It will also hold classrooms, seminar rooms, and student lounges. Anticipated completion: No date set, still in planning and design phase. As the on-campus living requirement increases to three years for students, Rollins plans to build a new residential complex. It is set to be a lakeside complex for upperclassmen students with more singles and apartment-style dorms. Because of the new dorm building being built near the lake, the facilities building has been relocated to a new spot near the train tracks at 450 W. Fairbanks Ave. The facilities building includes offices like maintenance, delivery, and printing services. Anticipated completion: No date set, still in design phase. After the Fred Stone theater was condemned and deemed unsafe for use, the college demolished the building and is in the process of building a new theater, costume, and dance studio. After roof and water damage caused ongoing mold and moisture issues in the building, a new air conditioning and heating system, fire sprinkler and fire alarm system, and acoustical systems and lighting were installed. New classroom furniture was brought in, ceilings and floors were replaced, and the building was repainted. Campus safety was previously a part of the facilities building next to McKean Hall. Because McKean has been demolished so that a new dorm can be built in that area, campus safety has been relocated to the old costume shop next to Holt Hall. The baseball field underwent renovations, as a synthetic infield was installed. The synthetic infield is similar to the turf used on the soccer field, while the outfield remains natural grass. Parking and field lighting were also improved. Renovations to the actual stadium, including a new locker room, are expected to occur in summer 2019.